The Books for Walls Project: Movie Friday: Movies Based on Banned Books. Movie Friday: Movies Based on Banned Books. The Sisters and The Dad just arrived home from Interlochen Public Library --bags full and arms loaded with books, books-on-tape and movies. 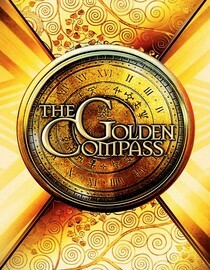 The Dad grabbed Golden Compass as a possible "Movie Night" selection. He recalled the book, read the movie cover, and since The Sisters (6 and 10) are into this type of book/movie thought it would be a great choice. The Mom did a little research and it struck out. Strike Three: "children in constant peril"
Given those descriptors the The Sisters vetoed it, but we have a feeling they will enjoy the book when they are older and then they can watch the movie. Fro now, maybe we'll read it aloud so that we can cross each bridge as we come to them, together. For a little Banned Books Week fun we decided to look up Golden Compass and sure enough, it's been challenged... and, yes, banned. Check out more banned books made into movies We realized there sure have been some great movies based on banned books. Do you have any favorites? Thankfully we have "Movie Night" back up perhaps Cold Comfort Farm, Bee Movie or what both The Sisters are voting for... more Lois and Clark Reruns. Usually The Sisters win. Hey that makes us wonder... has Superman ever been banned?